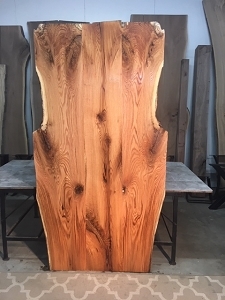 Live Edge cherry desk slabs. 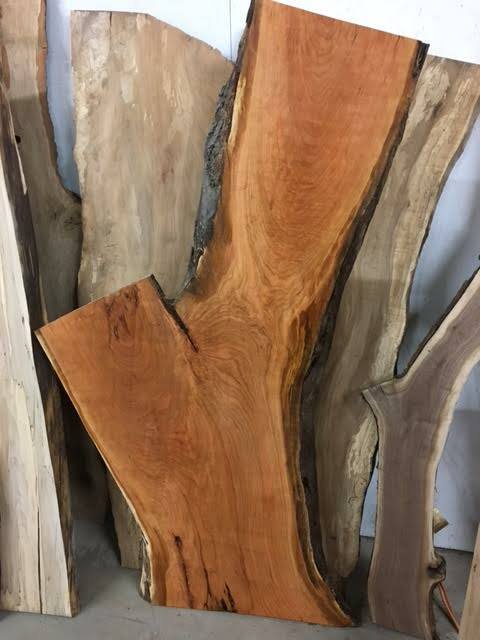 Curly live edge cherry slabs. 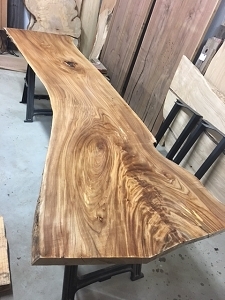 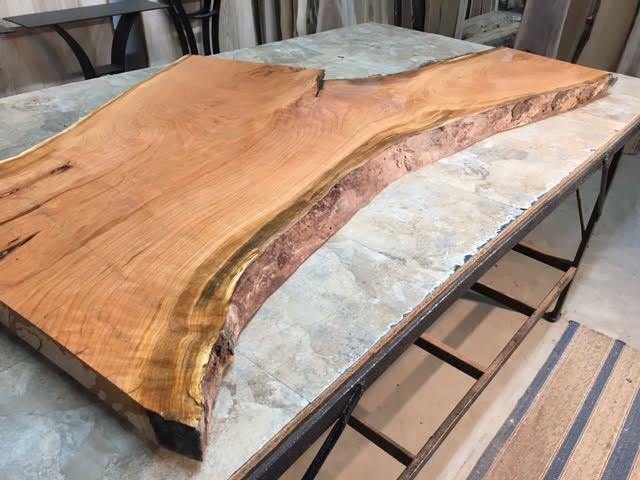 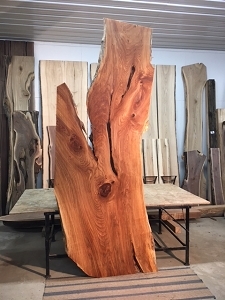 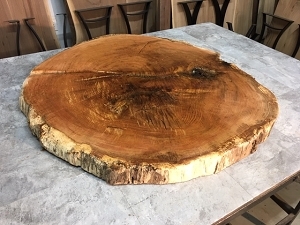 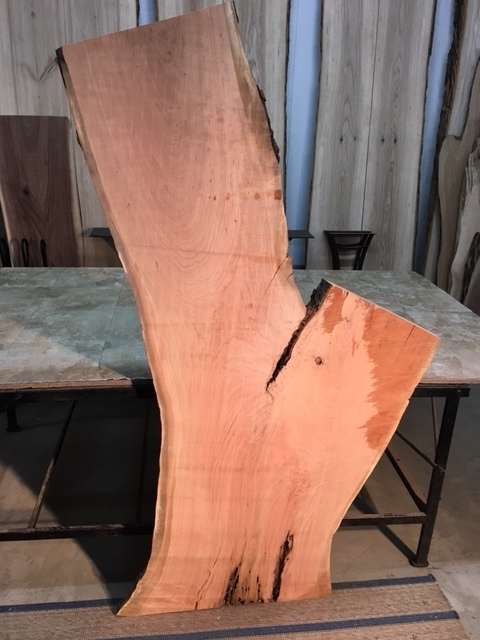 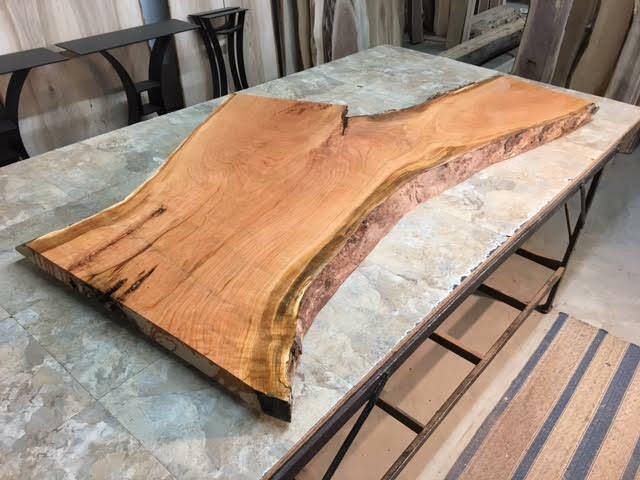 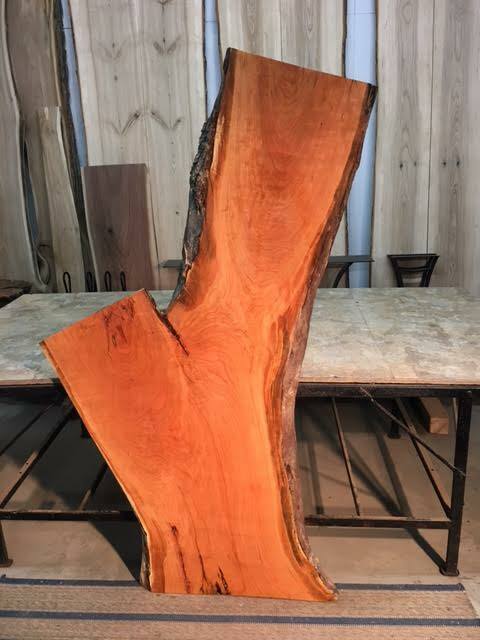 Live edge curly cherry for sale at Ohio Woodlands. 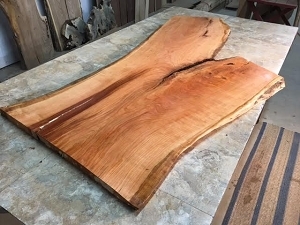 Cherry live edge wood slabs. 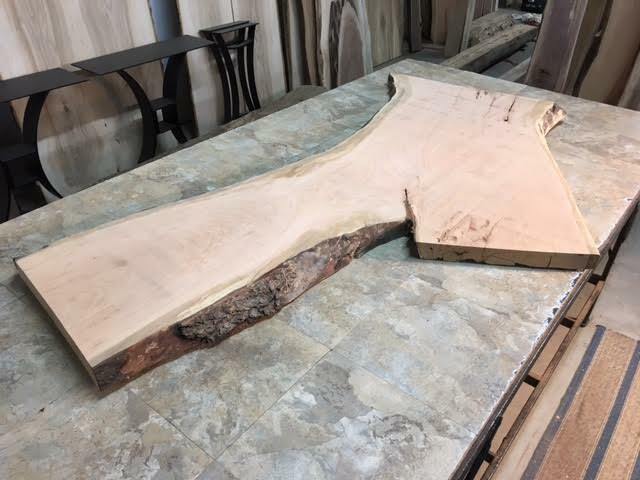 Cool Free Form Shape!! 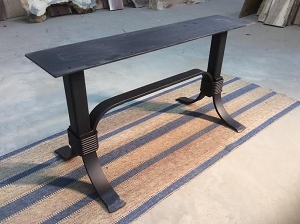 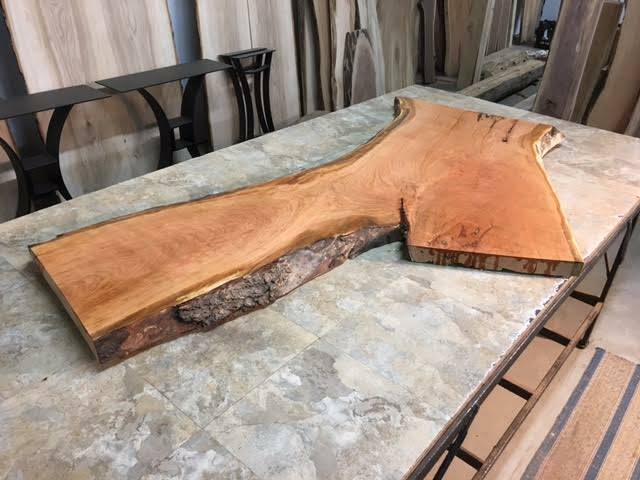 Great Desk Slab! 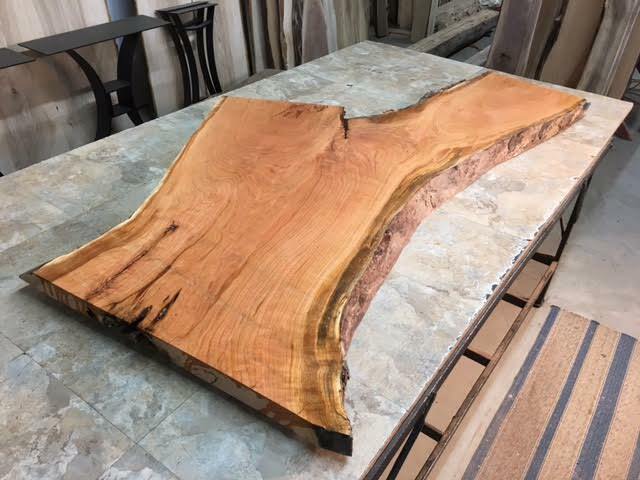 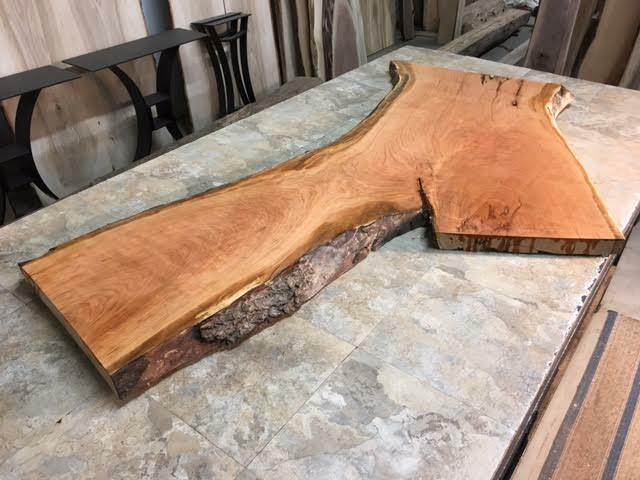 BEAUTIFUL BIG CHERRY SLAB!! 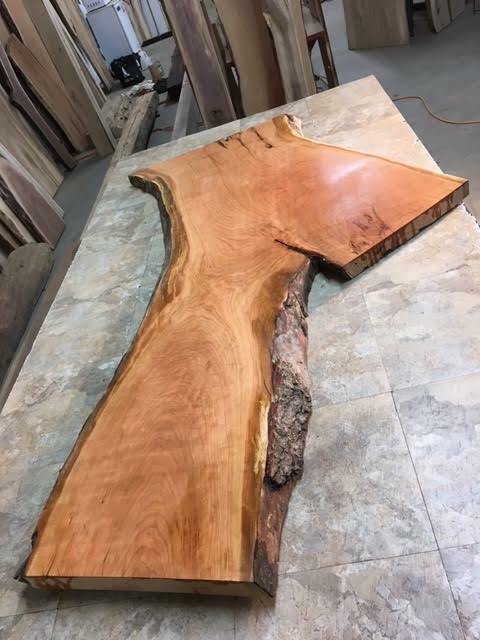 1 NICE SMOOTH FIGURED SLAB. 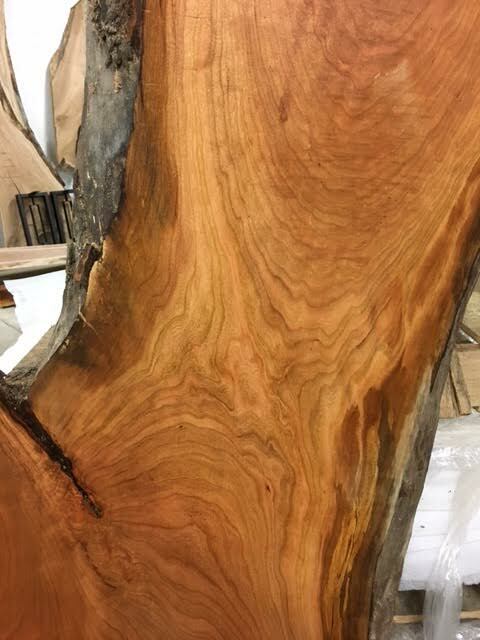 GREAT GRAIN PATTERNS. 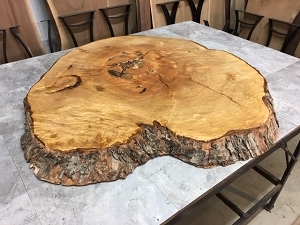 FIGURED, KNOTS, SOME STRESS CRACKS, SOME UN-PLANED SPOTS, NEEDS FINISH SANDED, A FEW ROUGHER EDGES, SOME VOIDS SPOTS, SOME WORMY SPOTS, WITH AND WITHOUT BARK - SOME LOOSE, CROTCH, SOME THICKNESS TAPER PRESENT NEAR SOME EDGES. 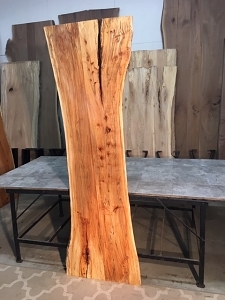 NATURE'S WOODEN GRANITE. 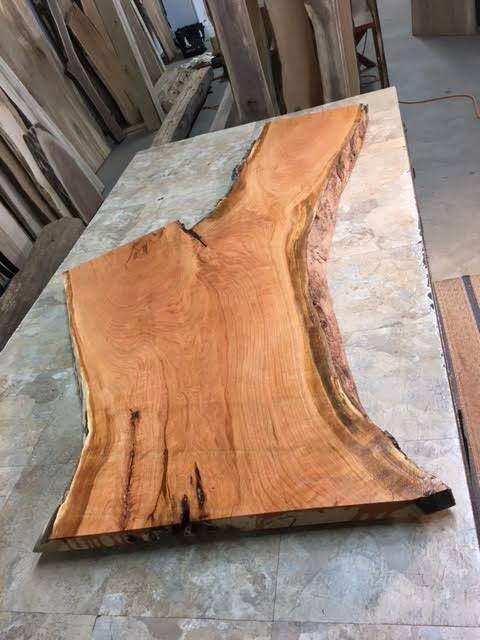 BEAUTIFUL SLAB.